This recipe is our go-to Sunday dinner. It's filling, delicious and is great for leftovers. 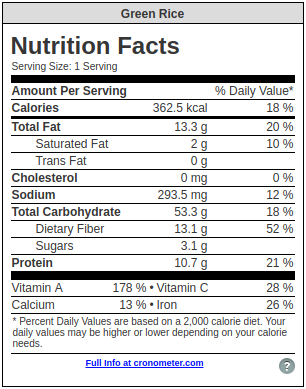 Don't be deceived by the ingredient list, it may look like a lot of work but it's actually pretty simple! What's even nicer is that we only use one pot! I love recipes that require minimal clean up :) Let me know what you think! I hope you enjoy! Cook rice in rice cooker, or pot as instructed. Preheat oven to 425 °F and line baking sheet with parchment paper. Peel and chop sweet potato into small cubes. In a bowl, or directly on the baking sheet, toss the sweet potatoes with oil, paprika and salt. Cook in oven for 20 minutes, turning half way through. Add 2 tbsp water small pot (or frying pan, we use the same pot for cooking the veggies and warming the beans) and add red onion, garlic, spinach and jalapeño pepper. Cook until onion is soft then add to blender. Add cilantro and vegetable broth to blender and blend until smooth. Add beans, and their juices, to pot used to cook onions along with cumin and chili powder. Warm on medium heat. Add green rice sauce to rice and mix. 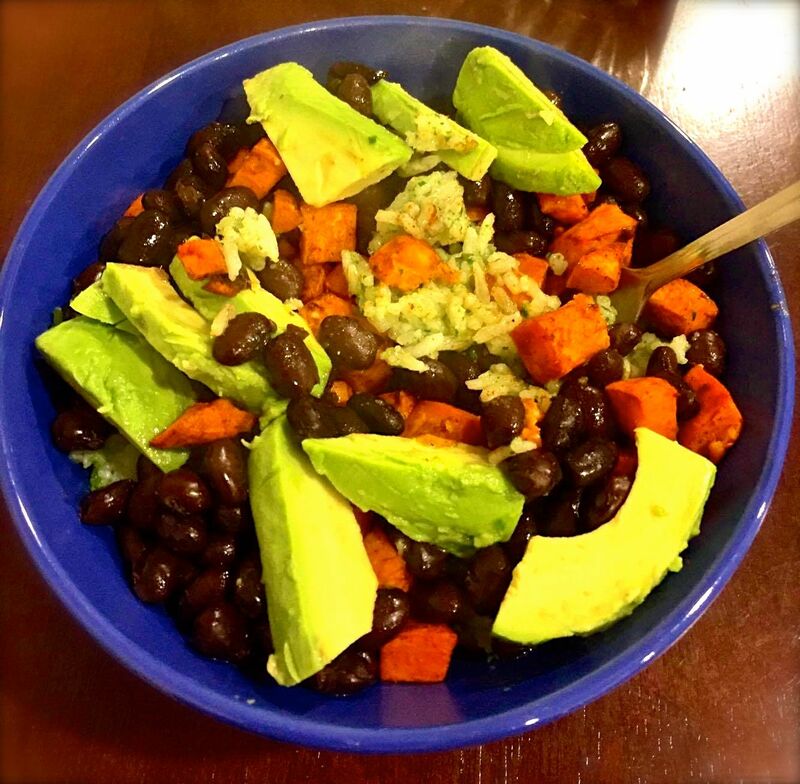 Top rice with sweet potato, beans, avocado, salsa and another toppings you please. Enjoy! Congratulations @terril! You received a personal award!